Bright, sunny 825 sq ft 2BR/2BA garden-style second (top)-floor unfurnished condo. 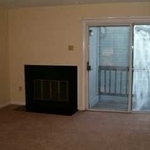 MBR: 12 x 12 (S & W facing windows) with separate full bath, 7’ 3” x 4’ 7” walk-in closet. 2nd BR: 12 x 10 (SE facing window), LV RM: 12 x 15, KIT: 8 x 13 eat-in, deck. 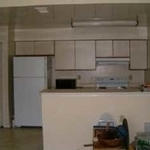 Central AC & forced air heat, W/D in unit, new w-2-w carpeting, new kitchen & bath linoleum, all new appliances. $1550/mo rent includes water, sewer, garbage removal. Cable-ready. Extra storage space in 3 x 5 shed. 2 house-trained pets OK. Grassy outdoor area w/picnic tables, grills for entertaining. Short walk to 2 major bus lines, 2 mi to Ft. Belvoir, 6 mi to Huntington Metro, 6.5 mi Olde Town, 2 mi to I-95, 1-3 miles to Woodlawn Elementary, Whitman Middle, and Mt. 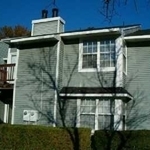 Vernon High, 4 miles to hospital, 2 miles to county RECenter, walk to grocery, ATMs, restaurants, two parks, Ft. Belvoir Wildlife Refuge, bike trails, jogging paths. No smoking or drugs. $50 non-refundable background and credit check fee.